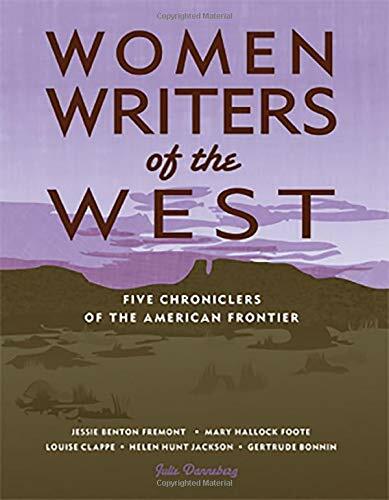 Synopsis: Told in a unique first-person creative nonfiction narrative, Women Writers of the West profiles five women driven to write and succeed at a time when ambition in women was viewed as a flaw, not an asset--Helen Hunt Jackson, Jessie Benton Fremont, Louise Clappe, Mary Hallock Foote, Gertrude Bonnin. About the Author&colon; Julie Danneberg, a third-generation Colorado native, grew up listening to stories about her grandmother, a miner's daughter, and her great-grandmother, an Irish immigrant turned miner's wife. Love of these women and their stories started her lifelong admiration of all courageous women of the West.